The rockabilly checked camp shirt and matching bull dog tee are retro cool! The bold turquoise checks and turquoise gingham trim and style have a 50s vibe. 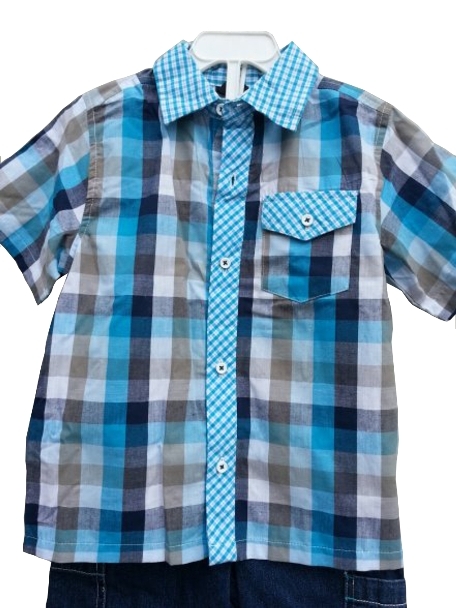 The shirt colors are navy, khaki, turquoise and white. 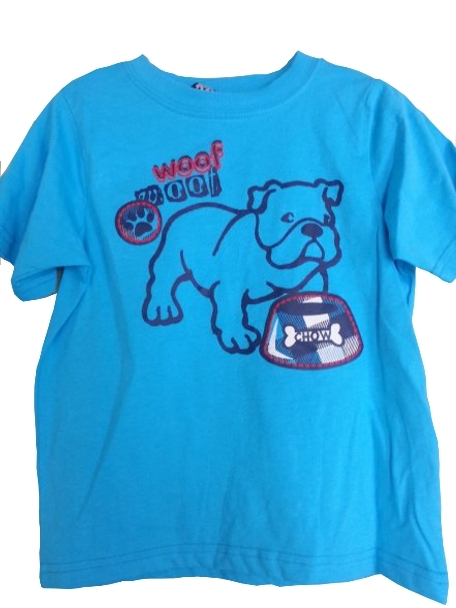 The bright turquoise 100% cotton tee shirt has a bull dog screen print he is sure to love. The camp shirt is a cotton-polyester blend. From Boys Rock. Machine wash. Dry on low. Shown with jeans shorts.